The startup incubator model pioneered by Y Combinator is quickly spreading across the country, with programs popping up in places well outside the Silicon Valley bubble, including Colorado and South Carolina. 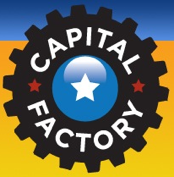 Earlier this week Capital Factory, an incubator based out of Austin, held its first demo day where the program’s five startups presented themselves to a number of potential investors and press. The demo day also included a discussion panel with six venture capitalists, who discussed some of the things involves in building a strong startup. We’ve embedded a video of the event below, along with a description of each startup. Cubit Planning — Cubit Planning is a service that allows agencies to automate some of the more tedious and time consuming parts of writing NEPA documents — the documents that summarize how a project will impact the environment as part of the National Environmental Policy Act. The startup says that you can get “cut and paste ready” data for these reports in as little as five minutes. Famigo is a gaming company that focuses on helping bring parents and their kids together. The company will soon be releasing an iPhone version of the game ‘hot potato’, which it plans to launch in the next few weeks. In the long run, the company plans to be a platform that other developers can leverage to help make family-oriented games. For more, you can see a video interview with the company here. Hourville is a marketplace for local service providers, who can offer anything from private tutoring to haircuts and more. The site lets these service professionals create a sharable calendar so potential customers can see when they’re available, and allows customers to book online (service professionals will get Email alerts and phone calls when someone books a timeslot). PetsMD is a new resource for pet-related health information. There are plenty of sites on the web that offer guidance for taking care of your dogs and cats, but these can be inconsistent and poorly organized. PetsMD looks to offer a comprehensive and accurate database of this data, and includes reports that have been approved by the site’s “Veterinary Review Board”. There’s also a Symptom Checker where you enter in the behavior your pet is displaying to see what the problem might be (the site recommends that you still visit a vet if there appears to be something wrong). Sparefoot is a site that lets you rent out any extra storage you might have around your house — be it a shed in the backyard or a room in your house — and also gives more traditional storage facilities another marketplace to present their available space on. The site also features a site that lets users who are looking for storage to browser through the available offerings. Over the course of the last ten weeks, each startup was given “up to $20,000”, along with mentorship, PR support, server usage, and legal help, while the incubator took a 5% stake in each company. Other incubators we’ve seen recently include Y Combinator (demo day coverage here) , fbFund (coverage here), and DreamIT Ventures (coverage here).